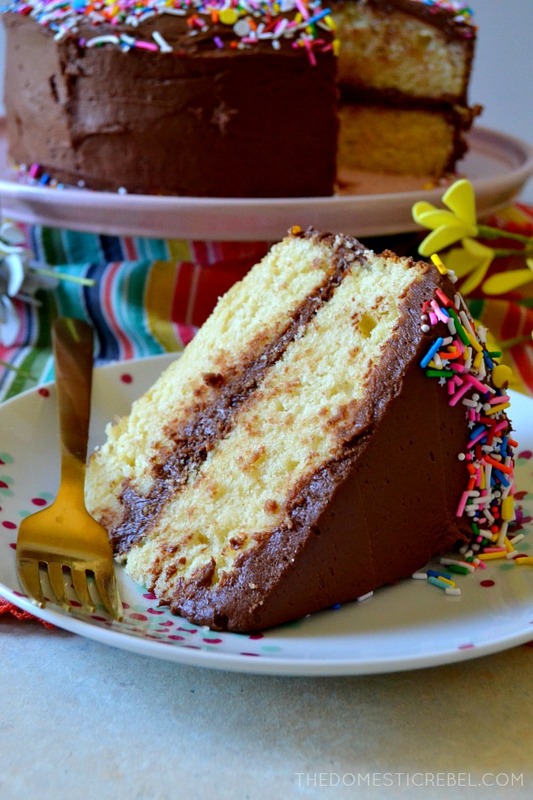 Every recipe box needs a classic yellow cake in its arsenal, and this Best Yellow Cake with Chocolate Fudge Frosting is absolutely the best recipe for yellow cake you’ll try! I’m a total cake person, and just realized this recently. Apparently I’m not very self-aware since I just figured this out, but whatever. 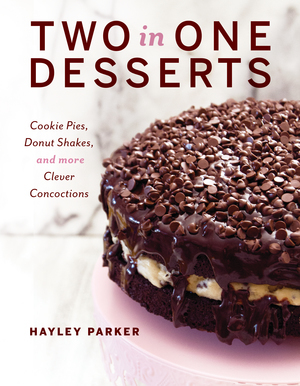 But when I think about what I want for dessert, I almost always am craving cake. A cold slice of cake from the fridge is kinda my favorite thing ever. In my newfound self, I also discovered I’m a cake snob as well. Meaning: I am incredibly particular about my cake. For one, it HAS to be moist. Okay, I know people hate that word, but really, that’s the only accurate word to describe a good piece of cake. It cannot be dry, it cannot be crumbly, it absolutely has to be moist with a fluffy texture and a good crumb. For two, the frosting ratio has to be just right. I’m so not a frosting girl – I’m the type who usually scrapes it off and eats the cake with just a thin remembrance of frosting. That’s one of the reasons why I’m not a cupcake person – too much frosting and too little cake! So when I do frosting, it has to be just the right amount of sweetness, perfectly layered with my cake, and not too cloying or overpowering. It should complement the cake, not overpower it. And most importantly, I want a cake that’s easy! Of course I could run to the store and grab a prepared cake, but where’s the fun in that? 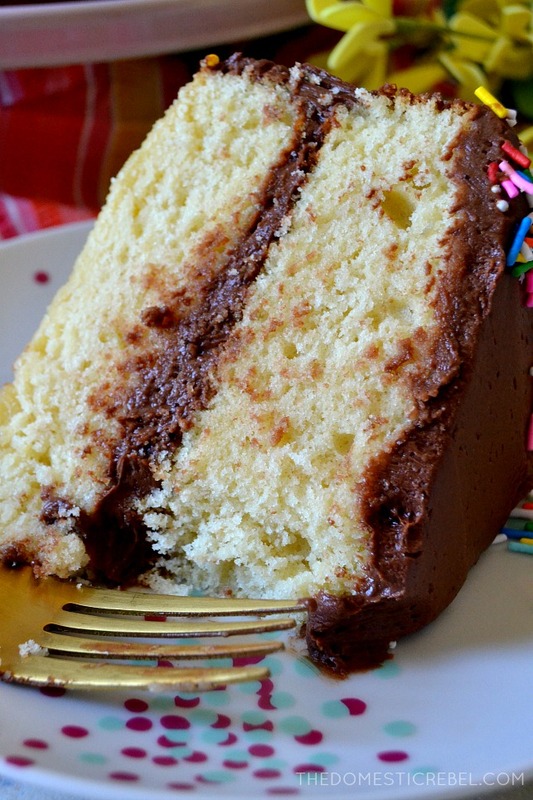 This Best Yellow Cake with Chocolate Fudge Frosting is perfectly homemade yet simple, with real ingredients for a buttery, moist, and flavorful piece of cake! What I love is that this cake can be customized to your preferences. If you prefer a one-pan cake, whip this up in your favorite 9×13″ pan. If you prefer vanilla buttercream, use that instead. 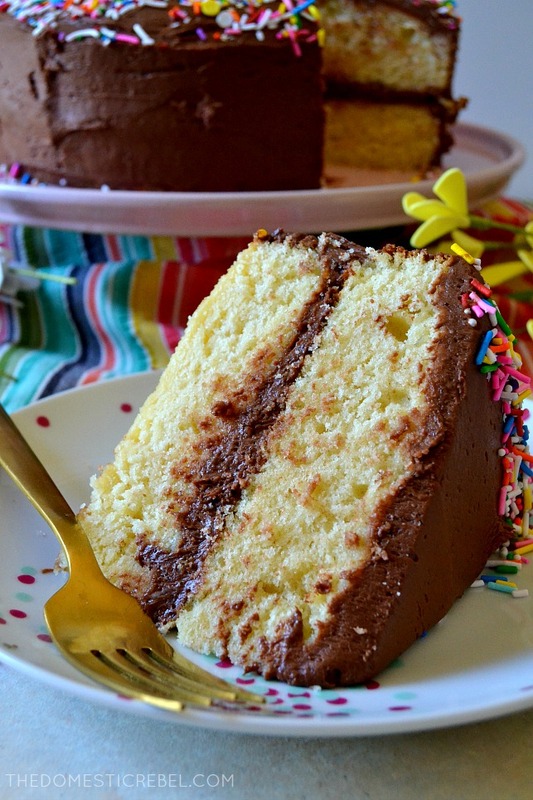 I just love the classic, traditional flavor of yellow cake with a creamy, fudgy chocolate frosting. Have I converted you into a cake person yet? 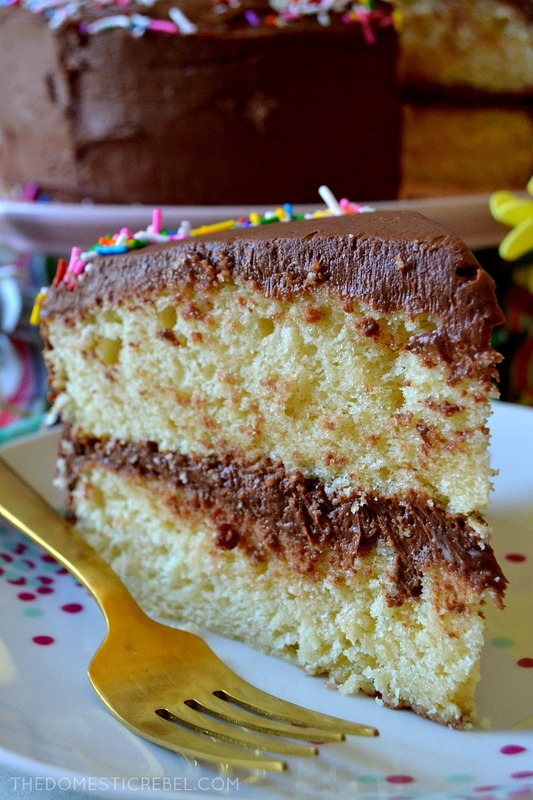 This is my favorite recipe for the BEST Yellow Cake with Chocolate Fudge Frosting! 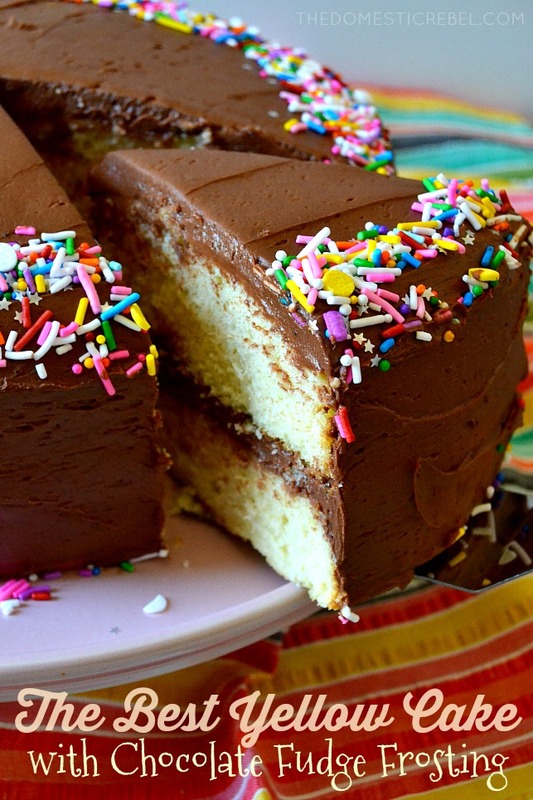 The cake is moist, soft and fluffy, and the frosting is creamy, fudgy and smooth! Preheat oven to 350 degrees F. Lightly grease the bottom of two 9" round cake pans, then place a parchment paper round in the bottom of each pan. Spray the pan once more liberally with cooking spray and set aside. In the bowl of a stand mixer, cream together the butter and granulated sugar with a paddle attachment until creamy and pale yellow in color, about 3 to 4 minutes, stopping to scrape the sides of the bowl if needed. Add in the eggs, one at a time, beating well after each addition, followed by the egg yolks, one at a time, and then the vanilla extract. Scrape sides of bowl if needed. Whisk together the baking powder, salt, and flour in a medium bowl. Alternate adding in some of the flour mixture, mixing well, and streaming in some of the buttermilk, mixing well, ending with the flour mixture until just combined. Portion the batter evenly among the cake pans. Bake for 25-30 minutes, checking at the 25 minute mark and testing the cake's doneness with a wooden toothpick or cake tester. The cake tester should come out with moist crumbs, but not wet batter. Cool the cakes completely at room temperature. For the frosting: Beat together the butter and cocoa powder slowly until combined and creamy, 2 minutes. Add in the confectioners' sugar, one cup at a time, alternating with little bits of the heavy cream and vanilla until frosting is light, fluffy, and spreadable. 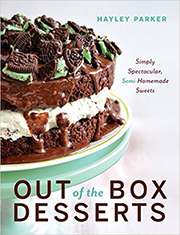 Place one cake layer down on a cake plate or pedestal. Spread with ⅓ of the frosting, out to the edges. Place the second cake layer on top and frost the cake with the remainder of the frosting. Garnish with rainbow sprinkles, if desired. Store airtight at room temperature or refrigerated. 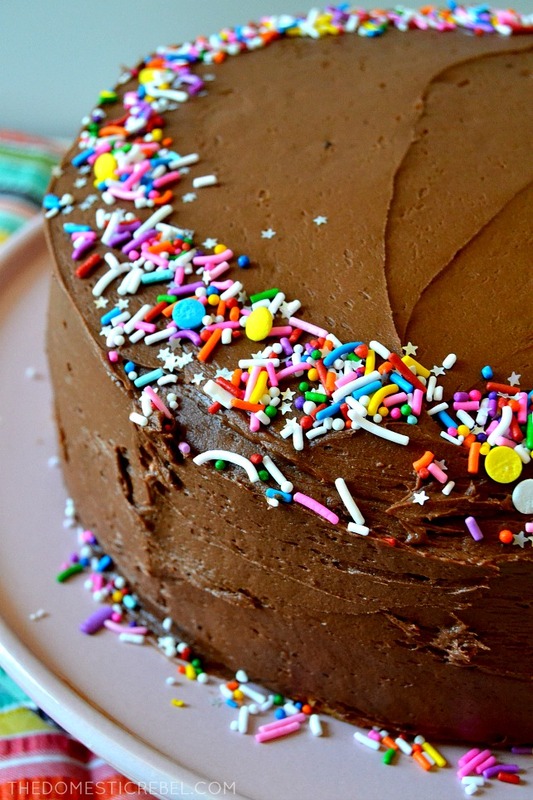 Super soft and fluffy cake with fudgy frosting – is there anything better? 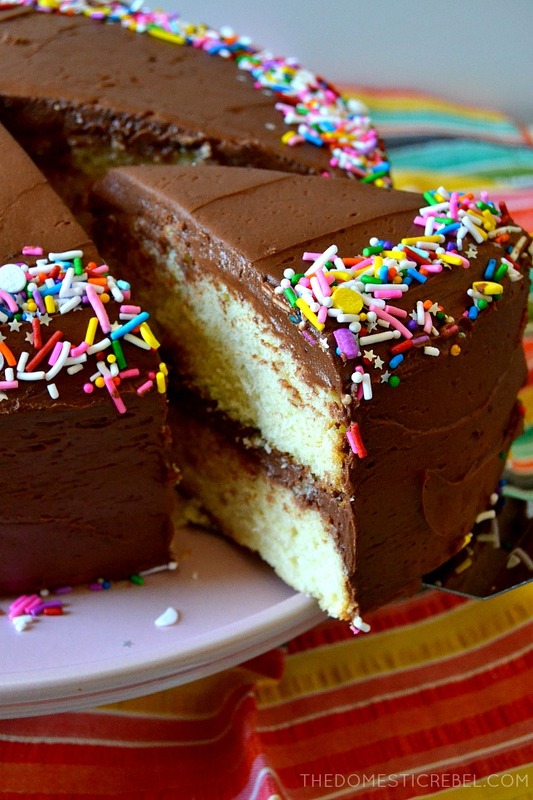 yellow cake with chocolate frosting has become my favorite go to. I do come across an issues that I hope you can help me with. 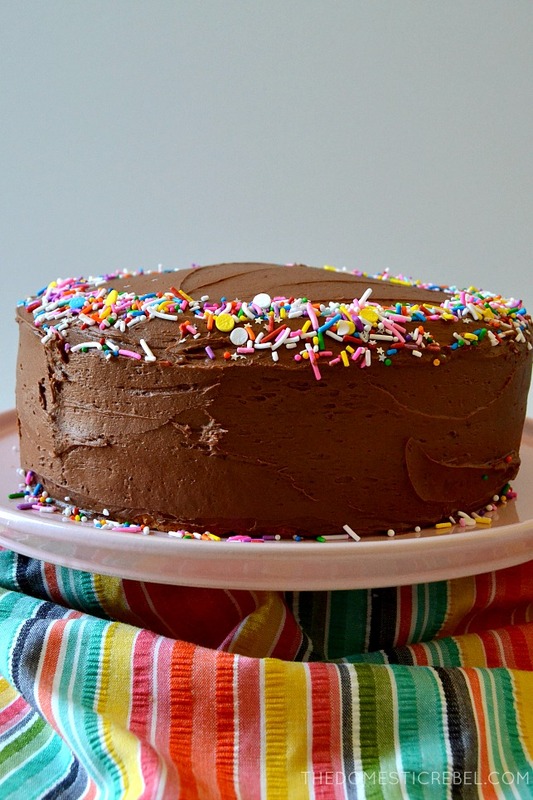 Not referring to this recipes but I have tried several in the past , the cake is moist and fluffy on the first day then it becomes dry and heavy. what am I doing wrong . 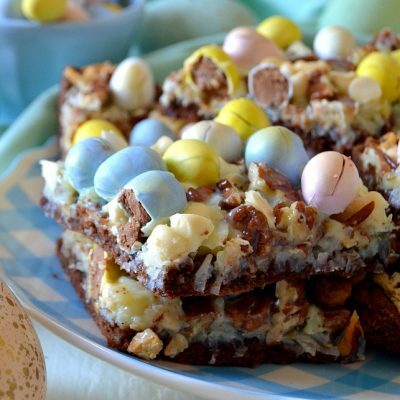 I am planning on trying this recipe this weekend..
Hi Ester! Hope you enjoy my version. As far as the dry cake problem, is it covered airtight?